A native Texan, Dr. William Hadnott attended medical school at The University of Texas Medical Branch at Galveston. He completed his internship and orthopedic surgery residency at The University of Texas Health Science Center School of Medicine in San Antonio. Board certified in orthopedic surgery, Dr. Hadnott specializes in general orthopedics. Dr. Hadnott is a member of several professional organizations, including the American Academy of Orthopedic Surgeons, the Houston Medical Forum, and the Alamo Orthopedic Society. 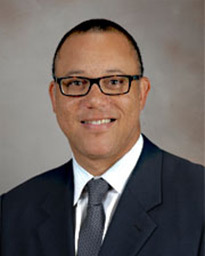 He serves as assistant professor of orthopedic surgery at McGovern Medical School at UTHealth in Houston. Dr. Hadnott and his wife have two children.